Have you met any of your own personal "Most Important Works of Art?" They are the ones that make you think and feel, that stir your soul any time you conjure up their vision. 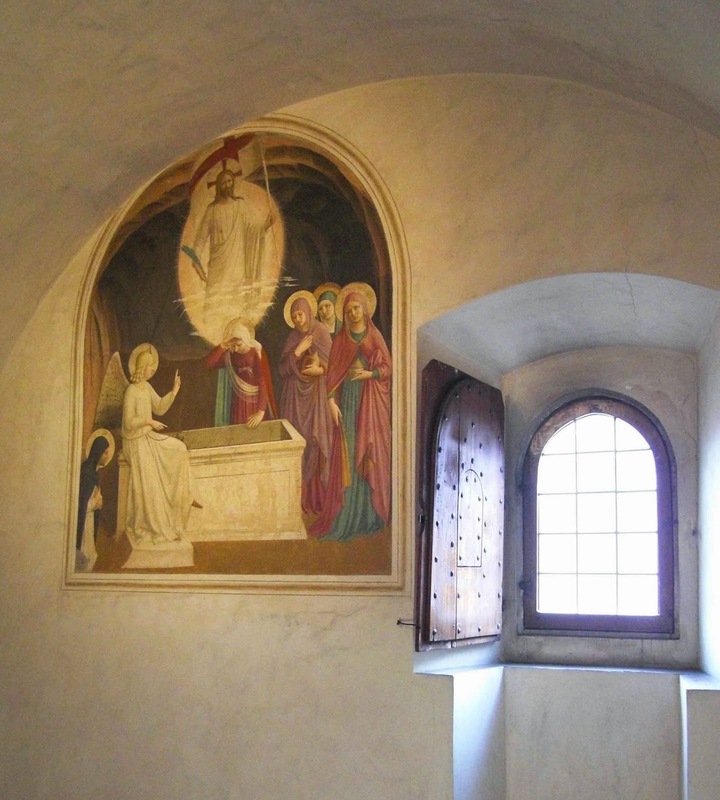 One of mine, painted by Fra Angelico and his assistants, lives in a monk's cell. Meant to be contemplated during prayer and study, it is simpler and more subtle than most frescoes found in public spaces. What speaks to me? The achingly beautiful colors, the mix of confusion and surprise told with hands and eyes, the Virgin Mary's "thought balloon" of a vision as she realizes that her son has risen from the dead, the sense of glowing light emanating from the angel and the resurrected Christ, the sense of hope for everyone---all created from ground-up bits of earth and minerals on a 600-year-old wall.